Brand Name - FORERUNNER cap and tee shirt combo. Select tee shirt size. Cap is one size fits most. 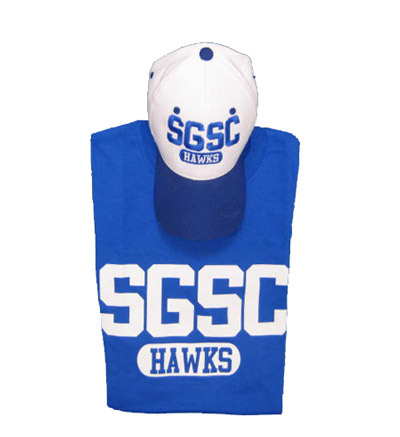 Logo - "SGSC HAWKS"